Fall has arrived full force with crisper days and even nippier nights. I wasn't expecting the sudden chill and now it's mandatory for me to begin my coat shopping. I love fall and winter for the simple fact all you need is a fab coat and boots. When I was in college, I used to wear a pajama shirt under my peacoat and no one ever knew. I'm all about staying fabulous withing breaking the bank. I stumbled onto Roaman's on my hunt for the perfect coat. 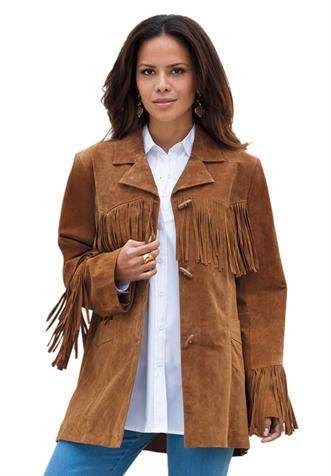 Several trends that I want to incorporate into my wardrobe this fall are fringe, military, and fur. I found a gorgeous camel fringe suede coat, a hooded cargo jacket, and a leopard faux fur coat. You have to stay warm, but the fun thing is there are jackets for different occasions. Whether it's an everyday jacket, going out, or for dressier events, your coats have to match. 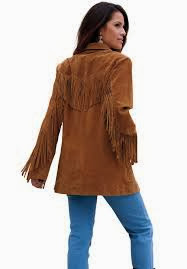 The suede fringe jacket has a western feel with the fringe on the back and along the sleeves. Its fashionably loose and gracefully oversize design still provides ultimate style and comfort. Go cowgirl! I'd pair this with matching Minnetonkas, leggings, and an oversized sweater. The military theme is by far one of my favorites because it adds so much edginess to any outfit. 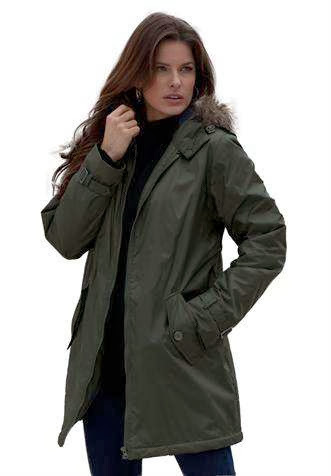 This fur hooded cargo jacket is the perfect everyday jacket. Not only is it warm, it's very stylish. The long hem-line keeps you warm and also flatters your shape. This jackets comes in army green and black. For those cold party nights, you still want a fabulous jacket to rock walking into a venue or at a dinner party before it's whisked away into coat check. 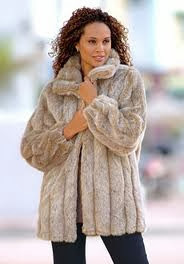 I've always had a leoapard faux fur coat on my wishlist. This would be perfect for holiday parties and especially New Years Eve. Afterall, in this cold months the first thing everyone sees is your jacket before your party dress. I love the fun leopard print, but also the champagne color. LOVE these coats! Very fun and fashionable. I almost fainted when I saw the fringe jacket. I'm definitely going to look into 1.